Yes that's where I live. I am Jedite, the mightest of the Dark Kingdom's "4 Kings" Shitennou. Thousands of years before any of you weaklings were born I strode across the world like a pagan god crushing your ancestors and making the survivors my slaves. But recently I have had a career change and am now content with applying my battle-tested evil skills to a less violent civilan life. I am a superb actor, having played such roles as "TV's Jedite," "Gangsta Thug Jedite", "Dot-Bomber Jedite", "Postmaster Jedite", "DJ Jedite" and "Sea Captain Jedite." I have even convincingly protrayed the legendary Cthulthu (of course it was simple to be convincing, as I had flayed the old fool and cloaked myself in his dessicated skin for amusement). I am available for children's parties or Urban Commando Raids. I live with people who were at one time my enemies; Ten'ou Haruka, Kaiou Michiru,Tomoe Hotaru and Aino Minako. I am friends with the noted scientist (Professor) Dr. Souichi Tomoe. I spend a lot of time on the IRC channel #suburbansenshi, which is run off his computer. I spend a lot of time looking at The Kitagawa Keiko homepage because she looks so much like my old incredibly hot girlfriend who is also an op on the channel. People who aggravate me on a daily basis are that runt Chibiusa and Pegasus. 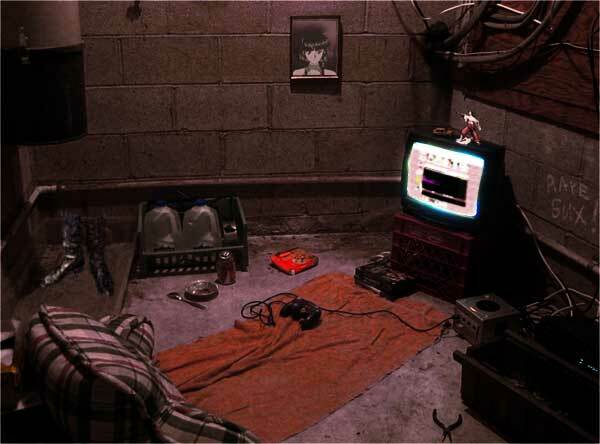 I will personally end anyone who makes fun of my setup. Copyright 2004. Best viewed in Lynx. Archives.